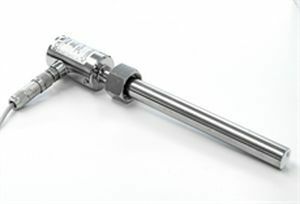 Compact, blind insertion flow meter which integrates in the same body sensor and converter . Full stainless steel construction with electrodes in AISI316. Electrical connections through 5 pole connector Available in three different sizes to cover pipes from DN80 to DN2000 Configuration via PC Digital and analogue outputs Minimum conductivity value 20 µS/cm Power supply 18-30 VDC Accuracy: ± 2% of reading Max pressure line 16 bar For more information, refer to the enclosed data sheet .